The traditional Festival of Decorative and Applied Arts will be held in the gallery "Art Tower" in October. The project aims to present various types of arts and crafts and to promote the development of national art, and to identify new talents. The event is co-organized by Ministry of Culture , the Administration of the State Historical and Architectural Reserve "Icherisheher", Youth Network as well as ", the Azerbaijan State Art Gallery and the NGO Arts Council Azerbaijan. Various samples of decorative and applied art - batik, tapestry, ceramics, stained glass, jewelry, carpets will be showcased at the festival. A personal exhibition of Azerbaijani artist Farida Garayeva will be also held within the art festival. 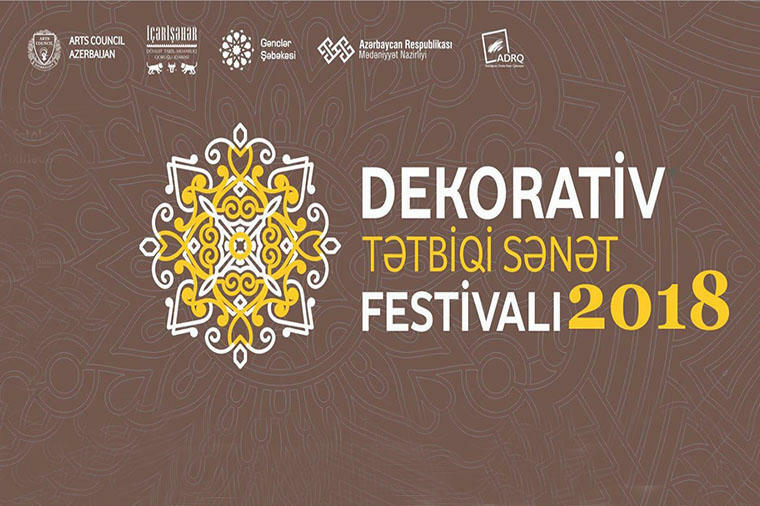 Arts Council Azerbaijan has announced the selection of the art works to the Festival of Decorative and Applied Arts. In order to take part it is necessary to send a photo of your work to the email address sergi@artscouncil.az. Everyone can send five photos. It should also be noted that the pictures should not be small. Please, leave your personal information (name, surname) and contact number. Works are accepted until September 30, 2018.